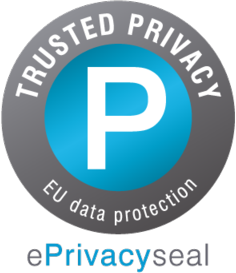 Semasio is independently inspected and certified by ePrivacy GmbH and adheres to the Principles of the EDAA Online Behavioural Advertising (OBA) Framework. Semasio adheres to the DAA Self-Regulatory Principles. Semasio is a member of the IAB Europe Transparency and Consent Framework Global Vendor List. The General Data Protection Regulation (GDPR) sets standards for data protection inside and outside of Europe. This law specifies precisely how personal data may be collected, saved, processed, transferred, or otherwise used. Semasio’s business model is in compliance with these rules. To ensure continuous compliance, Semasio closely follows the development of data protection regulation in Germany, in Europe and in the rest of the world and immediately reacts to any changes. Semasio runs the User Intelligence Platform (UIP). It is a technology which turns contacts with digital media users into data points. These contacts may be with Semasio’s own UIP, or the data may be sourced from third parties. From these data points information is derived and stored using a cookie set in the user's browser for user identification. Semasio works with partners to deliver advertising based on this data. Semasio synchronizes and shares online identifiers ("Cookie IDs") with partners in order to communicate with audiences. Semasio only works with partner companies on a contractual basis and where the use of data is secure as described below. 1. Who is responsible for the Semasio User Intelligence Platform and the Semasio.com website? For all requests concerning the security of your data, please contact our privacy team and data protection officer at privacy@semasio.com. If you have a particularly sensitive request, please contact our data protection officer by postal mail. Semasio collects so-called online identifiers relating to internet users (“Cookie IDs”) and the URL addresses of websites connected to one of our data providers if an internet user visits that page. We do not store any personal identifiable information (“PII”) like names, mail addresses, email addresses, or telephone numbers. In particular, we do not store any IP addresses of devices used by internet users to access the Internet. We cannot combine information to gather PII beyond the cookie ID. Semasio uses this information to enable our customers to perform targeted online marketing campaigns via real-time bidding platforms. Lists of cookie IDs are sent via our data centers to real-time bidding platforms to deliver advertising campaigns to relevant users. We do not use the data for automated decision-making or profiling activities. In some cases, we transfer information to partners that are located outside of the European Union. For this, we have special contractual measures in place to ensure an adequate level of protection for your data. Semasio may identify all devices that are likely to be associated with you so that ads can be targeted, capped and sequenced across those devices. For example, cross-device matching helps us NOT show you ads for the shoes you were looking at on your phone but that you already purchased on your tablet. Instead we’ll try to show you ads for an upcoming triathlon where you can put those shoes to work. It also helps us match devices so we can honor your opt-out choices across all devices we know are connected to the opted-out cookie. In addition, we process contact data as well as the correspondence with and billing details of our existing and prospective customers. This data is collected via email and through the contact form on our website. Our website uses the Google Analytics service to obtain visitor statistics for the semasio.com website. This service is operated by Google LLC, 1600 Amphitheatre Parkway, Mountain View, CA 94043, United States and uses your IP address as well as cookies to provide us with information about how you use our website. Please refer to this link for more information and to this link to opt-out from being tracked by this service. 3. How do we secure your data and when is it deleted? Semasio protects the data of Internet users against any unauthorized access, use or disclosure. Semasio ensures that data will be stored in a controlled and safe environment, protected from unauthorized access and disclosure. Furthermore, Semasio has implemented technical and organizational measures to assure that all saved data is secured. Your data is being deleted automatically after 90 to 180 days. Customer data is deleted once both the contractual relationship and any applicable statutory storage periods have ended. 4. How can you inform yourself about the data we have stored on you, and what other rights do you have? In addition, and subject to certain conditions in some cases, you have the right to request access to and rectification or erasure of your personal data, to restrict or object its processing as well as the right to data portability, to withdraw consent at any time with regard to the future, and to lodge a complaint with a supervisory authority. The provision of your personal data is voluntary, except where otherwise noted. 5. How can you opt-out of advertising tracking? “Cookies” are small files that enable Semasio to store information related to an internet user, on a personal computer or another device from visits to websites from Semasio’s partners. For example, cookies help to ascertain the frequency of use and the number of a website’s visitors in order to design offers and services as comfortable, efficient and interesting as possible for visitors. The cookie does not do any damage to the computer of the internet user and does not spy on personal information. In the browser settings, an internet user can deactivate or restrict the storage of cookies from defined websites. Furthermore, the browser can be set to inform the internet user as soon as a cookie is placed. An internet user can also delete cookies from the hard drive at any time. However, the use of certain services may not be possible if the browser does not allow session cookies. 7. What is the legal basis for processing your information and under which terms do we cooperate with our partners? The Semasio User Intelligence Platform (UIP) operates on the basis of legitimate interest of providing services relating to online advertising, art. 6(1)(f) GDPR. As a responsible company, Semasio also informs partners of relevant data protection regulation, and has detailed contractual agreements with partners. Specific business terms assure that data protection regulations are understood, openly communicated and followed. However, partners are themselves responsible for adhering to the applicable data protection requirements and usually have their own privacy policies. Semasio therefore does not take any responsibility and/or liability for this. 8. Does Semasio support personalized advertising on sensitive health areas? 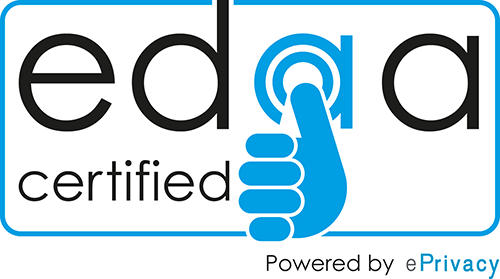 Semasio does not support personalized advertising on sensitive health areas as defined by the NAI code of conduct (accessible via http://www.networkadvertising.org/) and regularly reviews segments created on the UIP for compliance with the NAI code of conduct. Semasio does allow the creation of standard health segments (e.g. on non sensitive topics such as "Anti-Aging Products", "Cold and Flu", "Digestive Wellness", "Eye Care", "Hairloss", "Healthy Living", "Oral Care", "Personal Care", "Scincare", "Sleep Aid", "Stress Management", or "Vitamin Supplements").